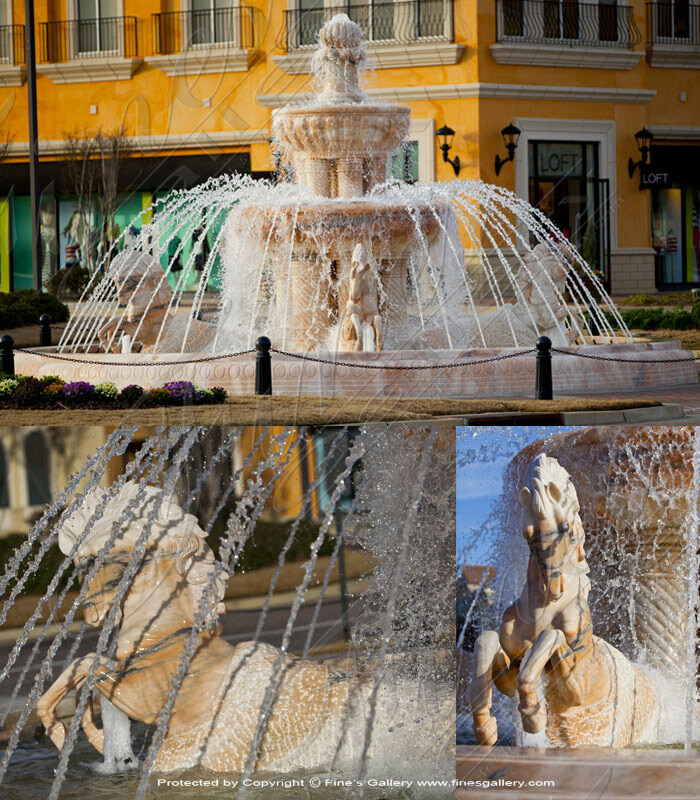 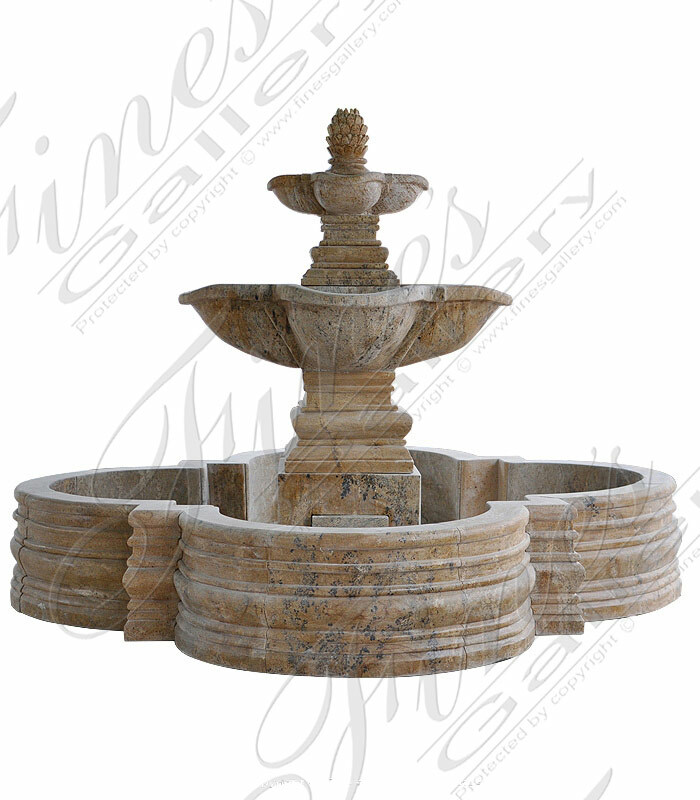 Old World Roman Travertine Fountain pictured in a light beige natural travertine. 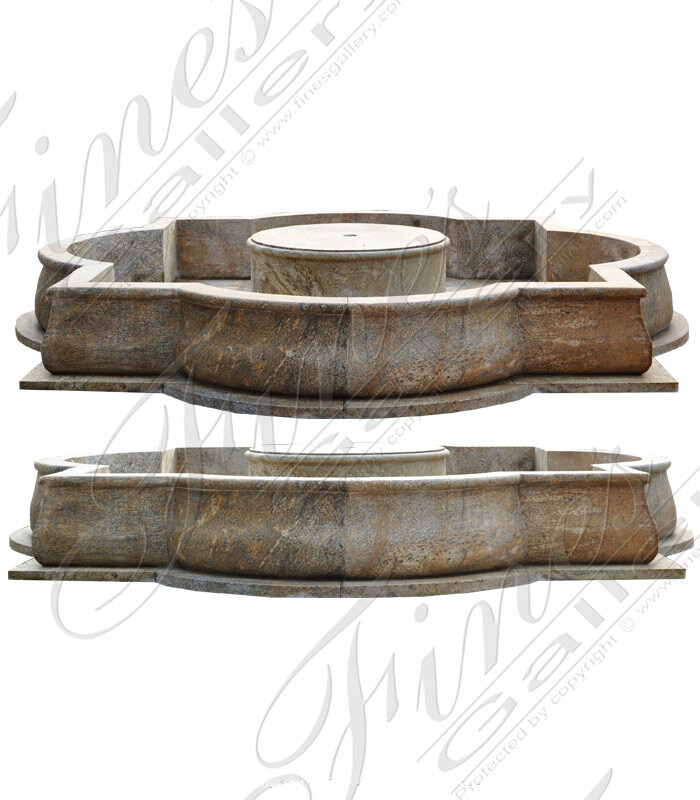 The same natural stone used by ancient romans to create the world renown trevi fountain in Rome, Italy! 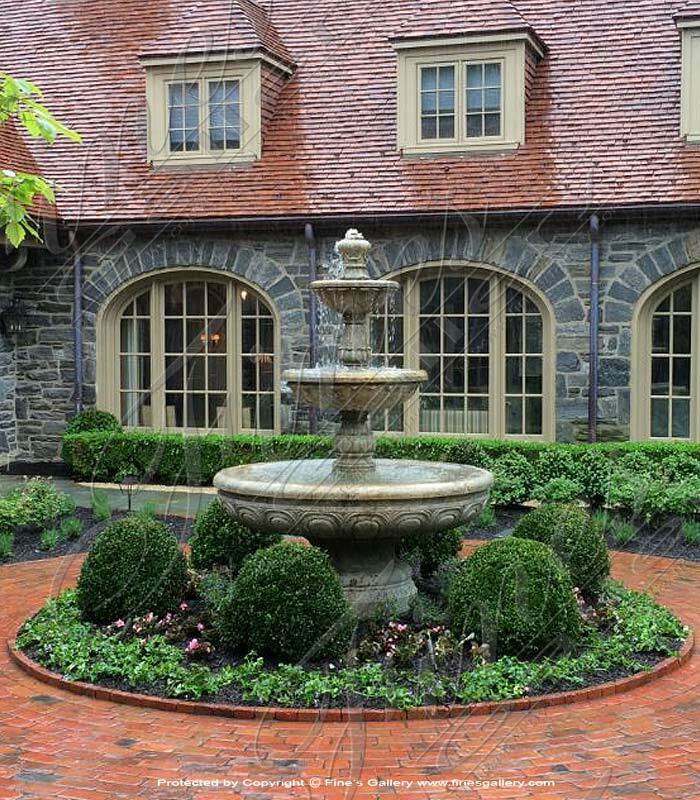 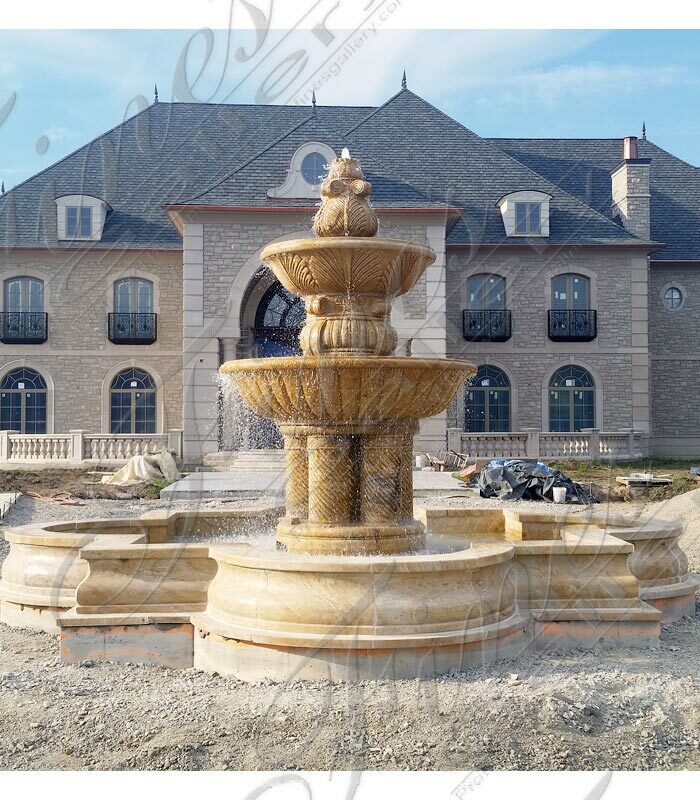 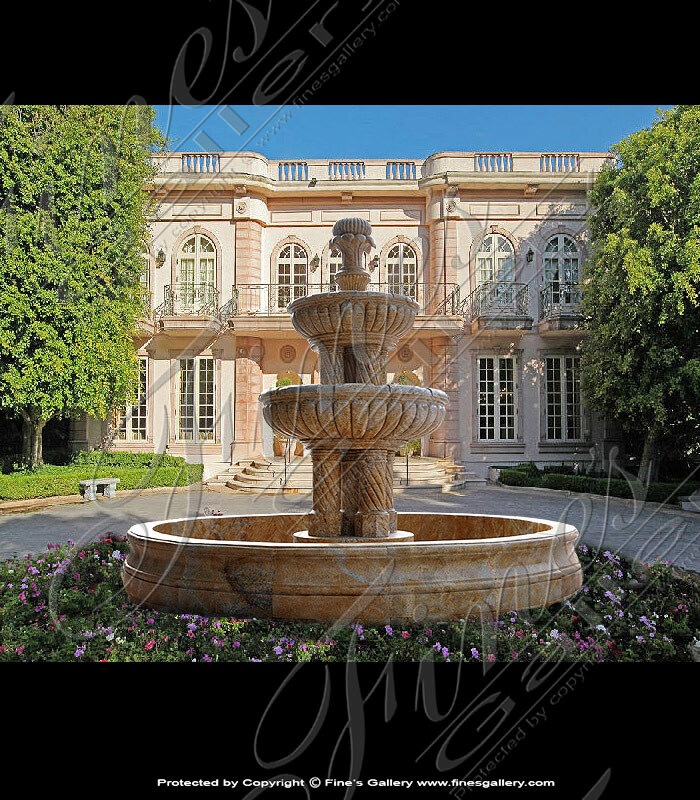 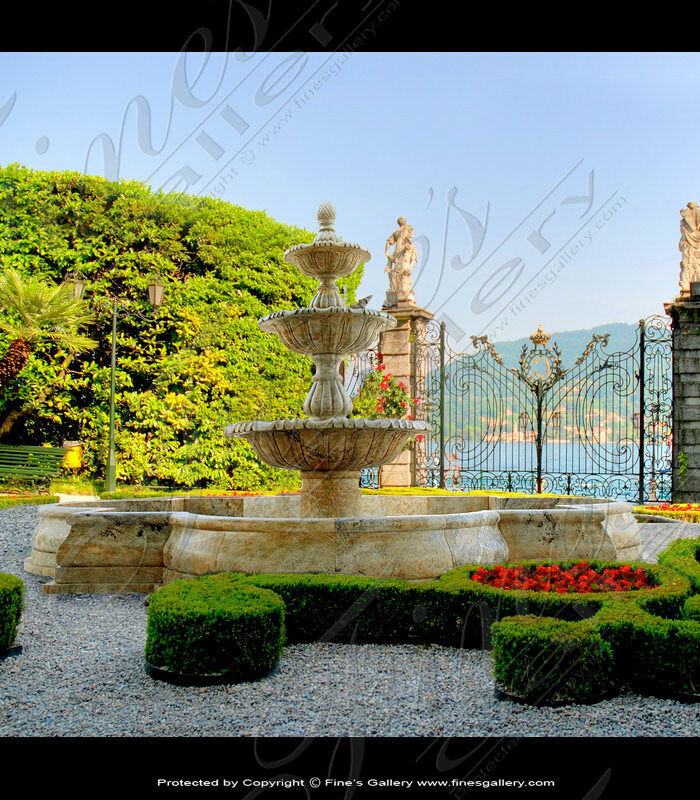 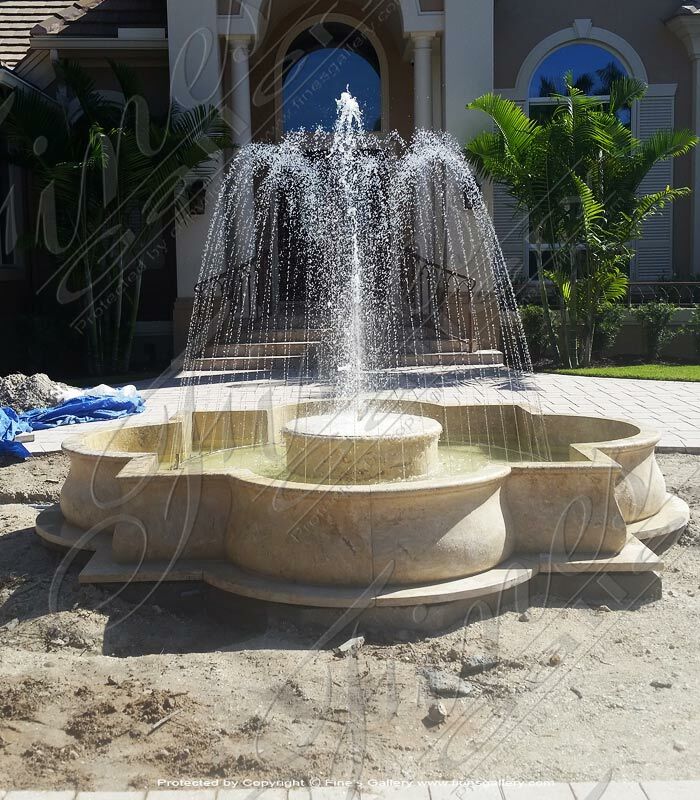 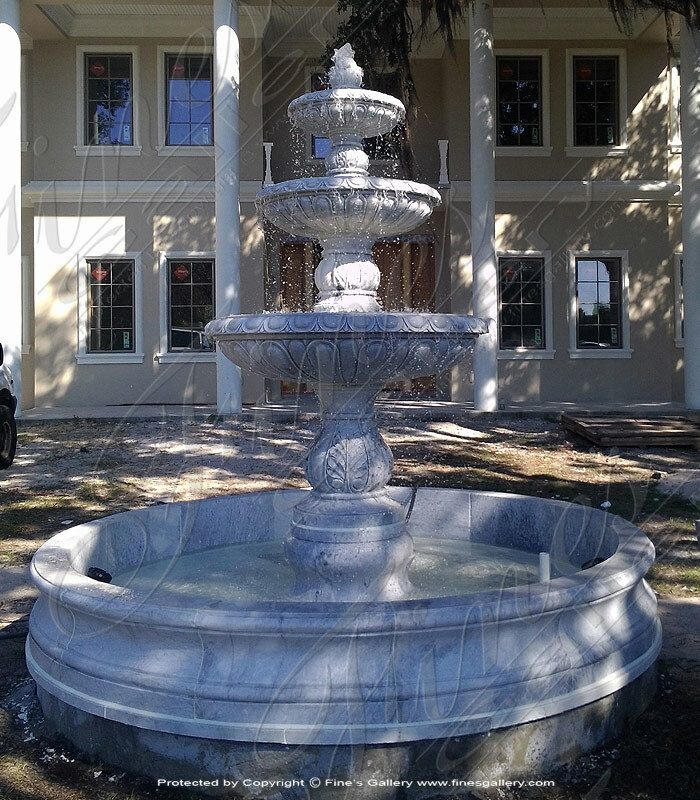 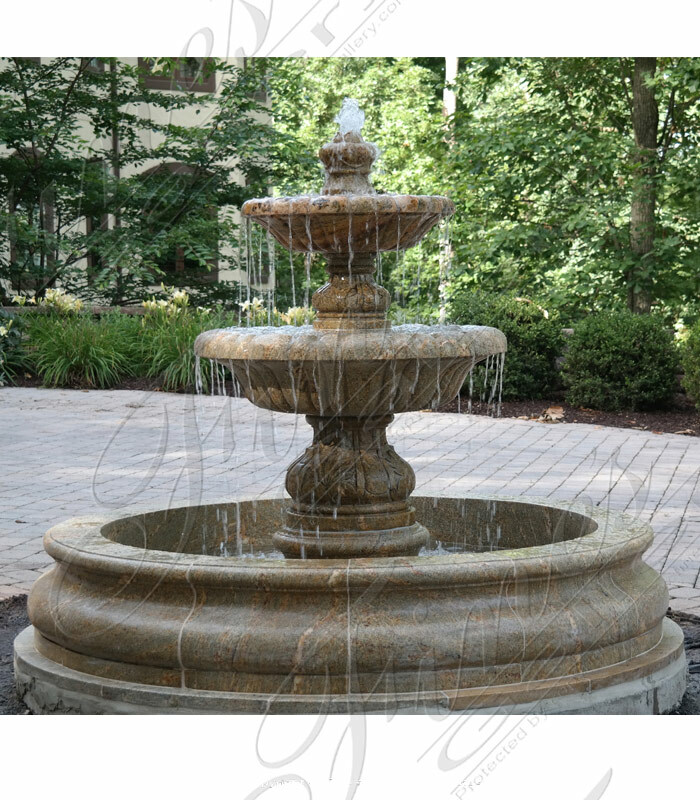 This magnificent fountain is perfect for a luxury motor court. 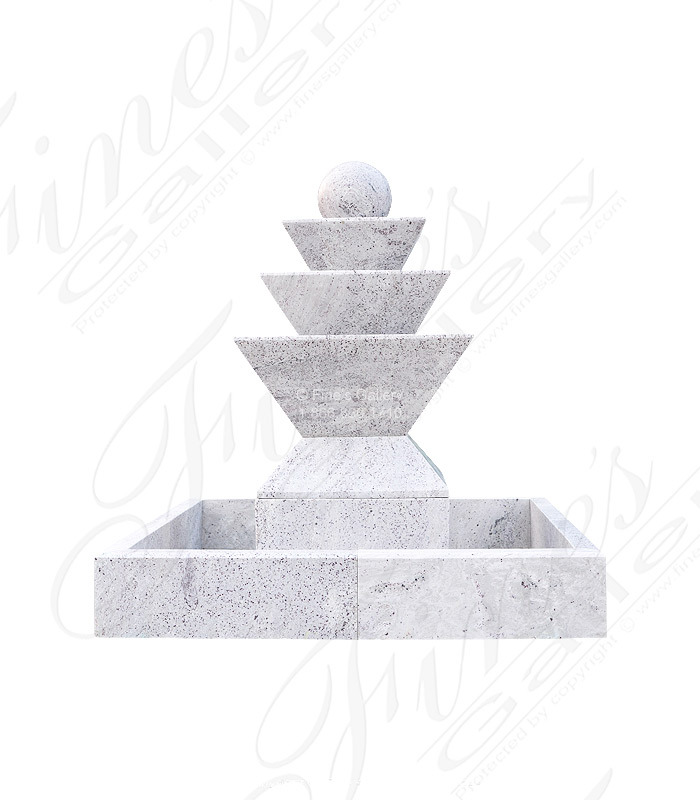 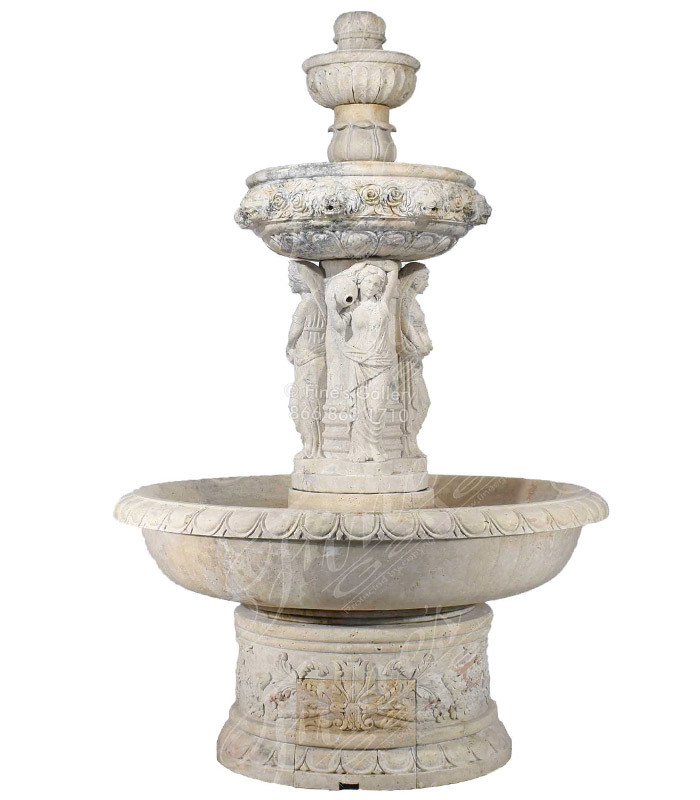 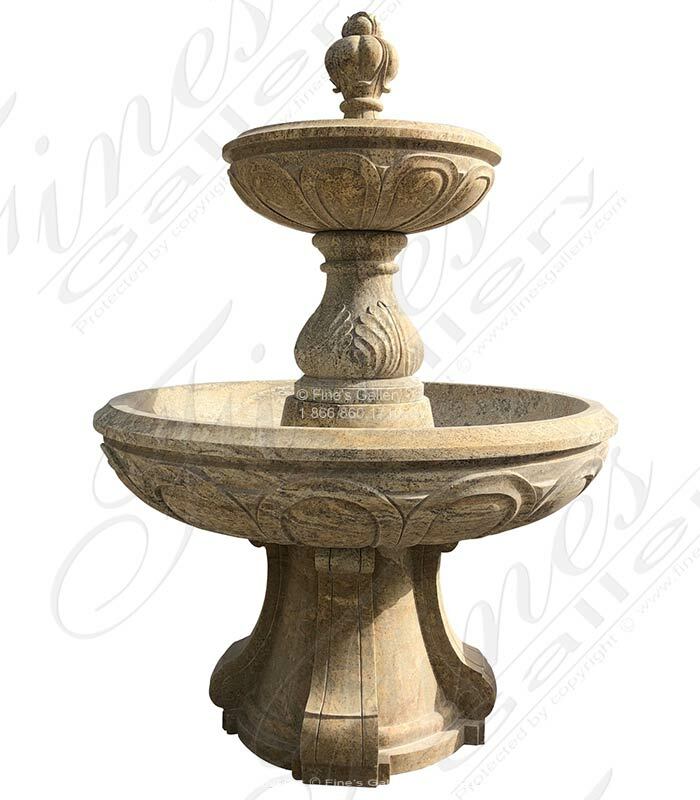 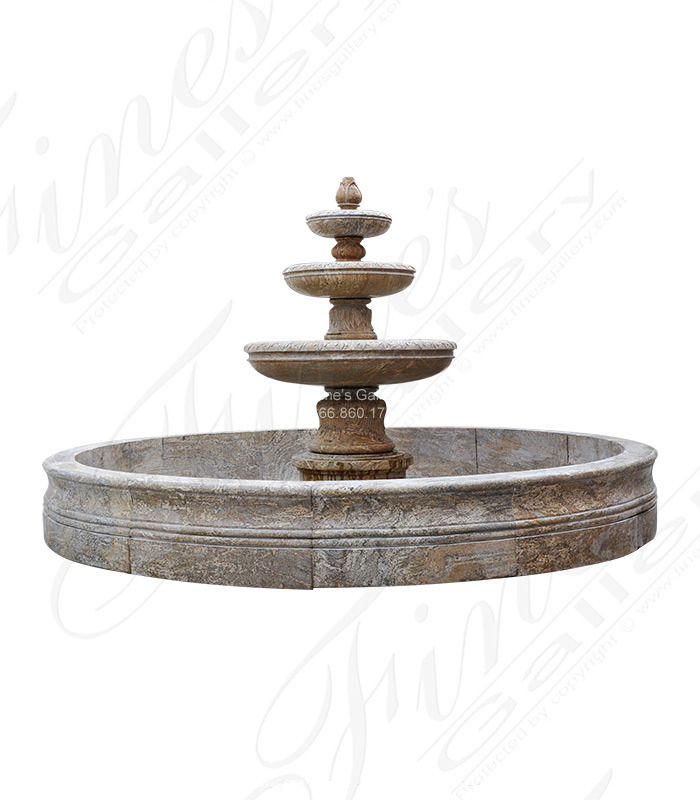 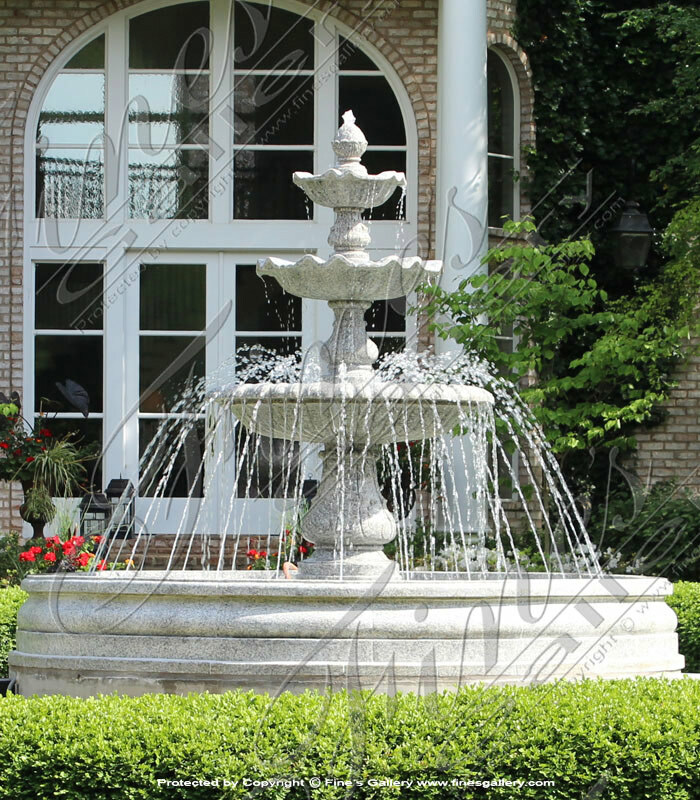 This beautiful Roman Gardens Marble Fountain creates an atmosphere of elegance and splendor. 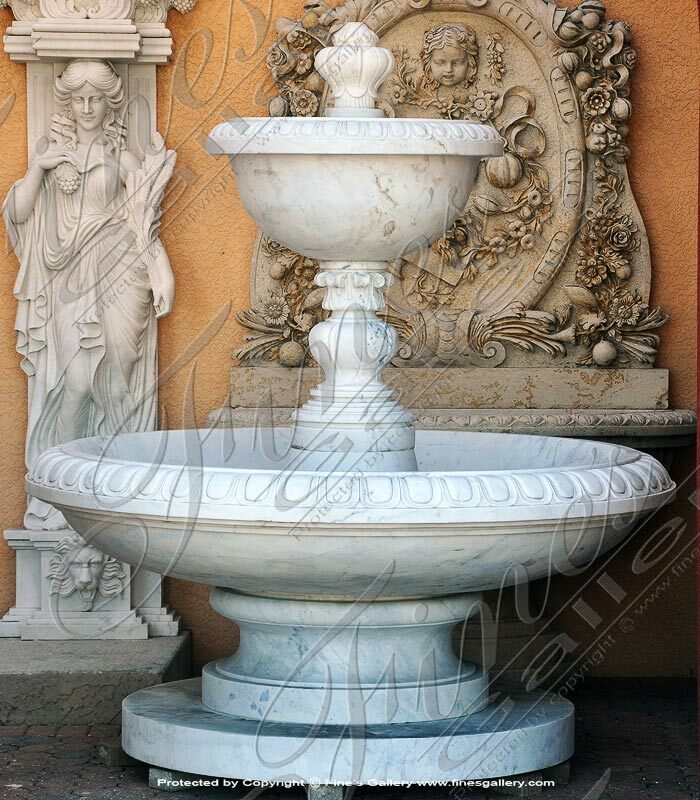 Graceful waterfalls tumble down three tiers of marble artwork, ornately detailed with Acanthus leaf and other beautiful hand carved accents.